ACCA exams can be managed easily and are highly flexible. They conduct both computer and paper based examination. Furthermore, In Nigeria the first three exams are offered in computer based format which is high on demand. Because of this, pass rate are on the increase since you are working at your own speed, time and convenience. 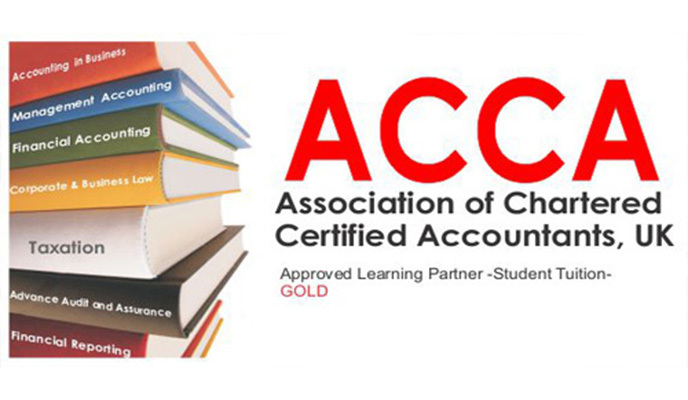 On your journey to becoming an ACCA professional member, you have a chance of grabbing a number of certificates and qualifications before being awarded a B.sc and/ M.sc(Hons) in Applied Accounting from Oxford Brookes University, UK. Some of the qualifications includes: Awards of excellence, Diploma in Accounting and business, Advanced Diploma in accounting and business. Furthermore, in each year ACCA offers scholarships to 5 students who attain a certain performance in their exams. It is only the students who prepare badly that always complain that ACCA is difficult. Maybe it's because of our poor educational system in Nigeria or those who enrol for a ACCA in Nigeria are just below average students. With the assistance of a study material and revision, in 3 to 4 months you get awarded an accounting diploma which also qualifies you as a junior accountant after passing only three computer based exams. This is the flexibility that i am talking about. ACCA study materials are the easiest to get for any professional accounting online examination - with just a phone call you can order and get any hard copy study text/ kits of your choice at your disposal. Let me also add that you can get a lot of ACCA free learning resources/ classes online. For instance: Opentuition, LSBF and YouTube offers so many free lectures videos and class notes designed according to ACCA syllables from F1-P6. Please my fellow ACCA students and professionals, don't be scared about some people's opinion that ICAN is better than ACCA. You are on the right WAY. Hardwork and a very determined heart will get us there real quick. You don't need to waste money paying for ACCA lessons when there are so many free lectures online, waiting to be downloaded. Just get your study and exam materials and do a lot of reading and practice.